Home > About the Institute > Meet Our Doctors > Lana B. Patitucci, D.O. 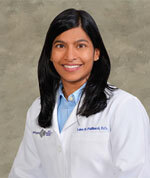 Dr. Lana B. Patitucci is Board Certified in Otolaryngology-Head and Neck Surgery and Facial Plastic Surgery. Dr. Patitucci received both her undergraduate and master degrees from Pennsylvania State University and completed medical school and residency training in otolaryngology from the Philadelphia College of Osteopathic Medicine. During her training, Dr. Patitucci was a member of Sigma Sigma Phi, an honorary osteopathic service fraternity. Dr. Patitucci is trained in all aspects of of general and pediatric otolaryngology including endoscopic sinus, otologic, head and neck, and facial plastics surgery. Her hospital affiliations include Abington Surgical Center, Blue Bell Surgical Center, Chestnut Hill, Einstein Medical Center Montgomery, Mercy Suburban as well as Roxborough Memorial Hospital. Dr. Patitucci is a member of the American Academy of Otolaryngology—Head and Neck Surgery, American Osteopathic Association, American Osteopathic College of Otolaryngology—Head and Neck Surgery and Pennsylvania Osteopathic Medical Association.